William E. Arnold, Jr. was born into a family of six in South Bend, Indiana. He started playing bongo drums at the age of 15 and became known as “Bongo Bill.” At 16, he started playing the drums and became known as “Mr. 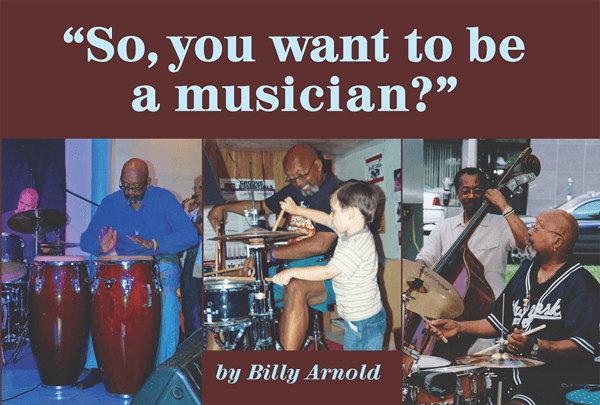 Clean” when he started his career playing with Motown recording artist “Junior Walker and the All Stars.” Billy credits his experiences in the U.S. Army Band as being his “college-conservatory” training. Billy has played with such Jazz greats as Teddy Wilson and Charlie Ventura.